John Arthur Rhodes, 68, of Connersville passed away Wednesday evening, January 30, 2019 at Heritage House of Connersville. The oldest of seven children of George E. and Carolyn E. Pitts Rhodes, John was born in New Castle, Indiana on May 24, 1950. He graduated Salutatorian from Eastern Hancock High School where he was on the wrestling team. John also attended Rose Hulman Institute of Technology. On July 1, 1972, he married the former Kathleen Tyrone in St. Gabriel Church. Mrs. Rhodes survives. John was employed as a buyer at Design & Manufacturing and as a Material Control Analyst at Visteon for several years. 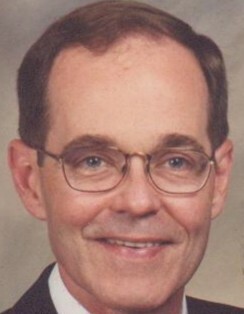 John was a member of St. Gabriel Catholic Church where he served as a Eucharistic Minister and on the Finance Committee. Besides his wife of 46 years, Kathleen Rhodes, survivors include four children, Anna Christine (Ryan) Scott and their children, Ethan and Graecen Scott of Columbus, Indiana, Karen Rhodes of Knoxville, Tennessee, Matthew Rhodes of Indianapolis, Indiana, and Michael Rhodes (fiancé, Ashley Raider) and Ashley’s children, Everett Conner and Brendon Raider of Connersville; three granddogs, Remington, Teddy, and Jack; six siblings, Jennifer (Randy) McClarnon, of Greenfield, Indiana, James A. (Julie) Rhodes of Greenfield, Joseph E. Rhodes of Wilkinson, Indiana, Jeffrey Rhodes of Shoals, Indiana, Jay (Catherine) Rhodes of Fairfax, Virginia, Jane A. (Lyle) Hilton of Sebastian, Florida; a brother-in-law, Daniel Tyrone of Connersville; a sister-in-law, Barbara Wiley of Coshocton, Ohio; several nieces, nephews, and cousins. John was preceded in death by his parents; grandparents, George and Mary Rhodes, Jesse and Frances Pitts; and a nephew, Justin Rhodes. The Mass of Christian Burial will be celebrated by Reverend John Luerman at 11:00 a.m. on Tuesday, February 5, 2019 at St. Gabriel Catholic Church. Burial will follow in Dale Cemetery. A scripture service will be conducted at 3:30 p.m. on Monday, February 4, 2019 at Miller, Moster, Robbins Funeral Home with visitation to follow until 8:00 p.m.
Memorial contributions may be made to Alzheimer Foundation, St. Gabriel Church Endowment Fund, or St. Gabriel School Endowment Fund. Online condolences may be made anytime at millermosterrobbins.com.